Our guests� well being and contentment has been paramount in our minds when designing our brand new residence. The Comploj Family would like to welcome you to the Residence Angelica. In the communal lounge �stube� area, you will be able to enjoy the cosy atmosphere around the fire place and also be able to breathe in the �perfume� of the pine wood which has been used to furnish this beautiful room. We know you will have an unforgettable stay at our residence. Our brand new holiday apartments have been designed to the highest of standards, incorporating also lots of natural materials right down to the smallest of detail.Our newly refurbished apartments, which afford breathtaking views over the mountains of Val Gardena, are all finished with a �natural� feel � from the wood flooring to the pine furniture, we have created a rustic and cosy style. All apartments have their own balcony, or private terrace. 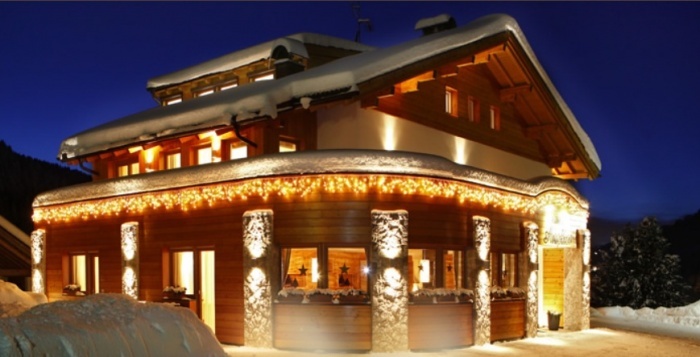 The ski pistes are 800 metres from our residence and with the local ski bus stopping directly outside of our door, you will quickly arrive at the most important lifts, such as the Ciampinoi, Danterceppies and nursery slopes for the children. All of these lifts allow you direct access onto the Sella Ronda ski area. To return to our residence, you can either use the ski bus, or under normal conditions, you can ski back on an easy ski path to within 200 m of your apartment. 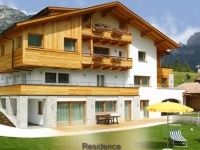 You will also find a ski deposit and ski boot dryer available for you in our residence. 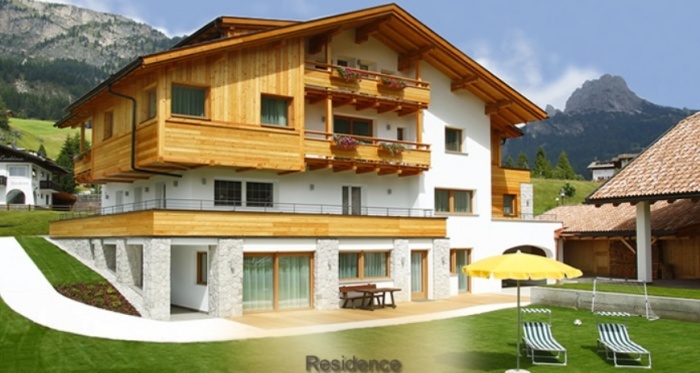 Our residence could not be more ideally situated for you to make the most of the beautiful walks, mountain climbing and trekking that this area offers. Each Tuesday our guests are invited to join in a guided walk (free of charge) and which is led by a qualified mountain guide. 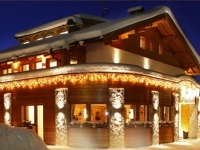 In addition, there is also the �Val Gardena ACTIVE� programme which is also free of charge for our house guests. A child minding service is also available through this programme however there is a charge for this service. Our apartments are also set in 500 ms of manicured gardens with sun loungers, deckchairs and umbrellas at your disposal. Not forgetting our �smaller guests�, of course, there is a trampoline, table-tennis, table football and swings also available. A bicycle deposit is also available.